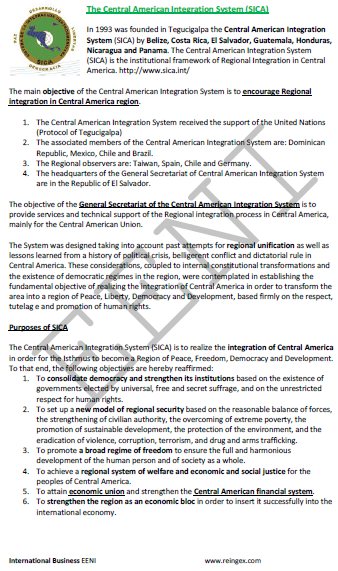 Syllabus of the Online Course (Subject): Central American Integration System (SICA). Member countries of the SICA: Belize, Costa Rica, El Salvador, Guatemala, Honduras, Nicaragua, and Panama. 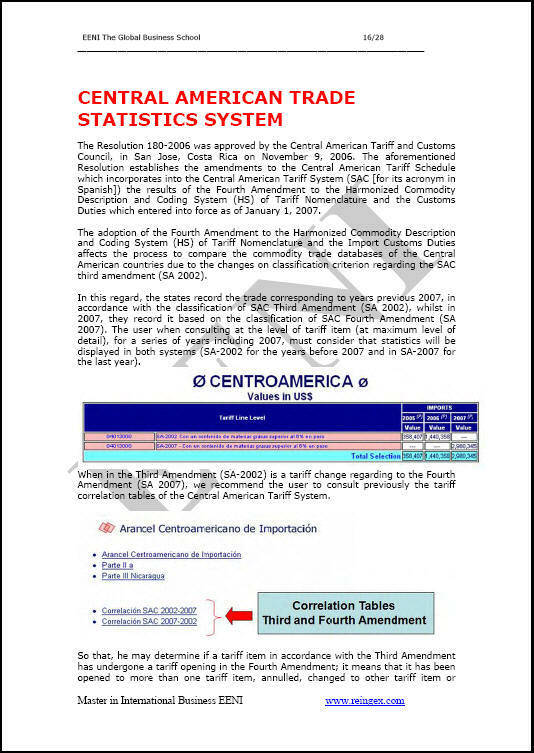 In 1993 was created in Tegucigalpa the Central American Integration System (SICA) by Belize, Costa Rica, El Salvador, Guatemala, Honduras, Nicaragua, and Panama. The main objective of the Central American Integration System is to encourage Regional Integration in the Central American region. 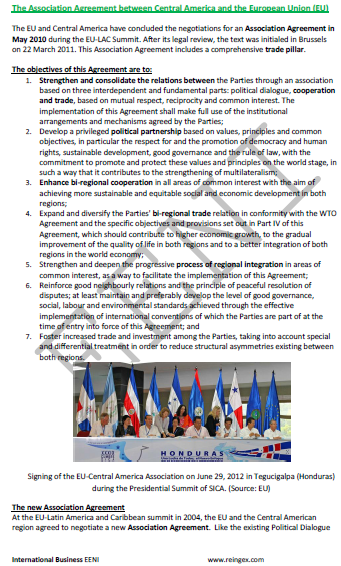 The objective of the General Secretariat of the Central American Integration System is to provide services and technical support to the Regional Integration process in Central America, mainly for the Central American Union. 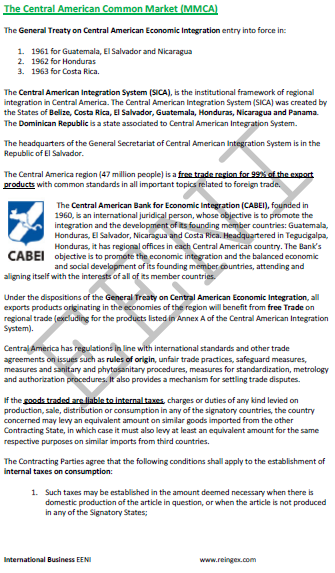 The Central American Integration System is an organisation of Latin American Economic Area of Western Christian Civilisation.